It is hard to find a property that fulfills every item on your wish list. You may have to do some compromising to make a purchase and, once you own it, put in some work to achieve the property you envisioned. This may involve clearing trees to open up a view, allowing an open area to revert back to forest (either on its own or through planting), building trails or digging a pond. One change that landowners can make that we often mention in our property reports is meadow conversion. Most of the property in the Northeast is naturally forested, so finding land with established fields is a bonus. We all know how hard the colonial settlers worked when they had to clear dense forests to create ground for crops and pasture. Fortunately, in the 21st century, the process is much easier. Benefits of meadows include open areas for recreation, establishment of wildflowers, views, habitat for songbirds - such as Indigo Bunting, American Goldfinch, and Eastern Bluebird, and varied habitat for deer and other mammals. If your land is in Current Use, be sure to check that any open areas you would like to create will be in compliance with the program. The first step, of course, is to clear the trees. Your logger will likely use a feller buncher and a skidder to quickly cut down the trees and bring them to a site where they can be chipped or loaded onto a log truck. Some of the trees may be big enough and of good enough quality to sell to a mill for lumber. These trees will fetch the highest prices. Younger and poorer quality trees will be chipped and sold for heating or biomass. Usually in logging, trees are left behind and the area is expected to return to forest. However, in meadow conversion, every stem will be cut and all the “slash,” or tops and branches of the trees, will be chipped along with the smaller trees. Once the area is cleared of trees, something needs to be done about the stumps, and, if your future meadow is located in New England, you may also have a few small boulders with which to contend. How the stumps and stones are handled will depend on your goals. If you’re going to use the meadow for pasture or recreation, you’ll want to get rid of the stumps and as many stones as possible so they don’t trip up people, animals and machines. One option is to have an excavator come and dig out every stump and pull out those rocks that will give. While this will give you a very clean meadow, it is expensive and slow-going. Furthermore, as each stump and stone comes out of the ground, topsoil is inevitably displaced, removing it from the meadow. Then there is the question of where to put all the stumps and the rocks. You may have a place on your land to dump them or they may have to be hauled away – yet another expense. Rocks can be made into a stone wall around the meadow’s edge. After the excavator is done, you’ll need a bulldozer and/or a tractor with a York rake to level the ground. Alternatively, you can hire a stump grinder which has a diamond bit that will grind each stump up to 3 inches below the soil level and smooth the ground at the same time. This method has advantages over the excavator in that you don’t need to dispose of stumps, the top soil is left in place and the job gets done in one sweep. However, it is also a costly endeavor and it does not pull any stones. Finally, if you don’t mind waiting a few years for a level meadow and/or want to take a more natural approach to creating a meadow, you can have the stumps cut flush with the ground (or as close as possible) and then wait. In 3-5 years, the stumps will have decomposed enough to start brush hogging the meadow without having the brush hog get hung up excessively. This is a much less expensive method but it may require you to keep after stump sprouts, either with clippers or an herbicide. Whatever method you choose, remember that you can make some money in selling the trees that are cleared. Landscape professionals may also be interested in the rocks that are produced from the clearing. These funds can then be put back into paying for the excavator or grinder or help defray the annual cost of brush hogging. You will have to mow the meadow every year if you want to keep it open. 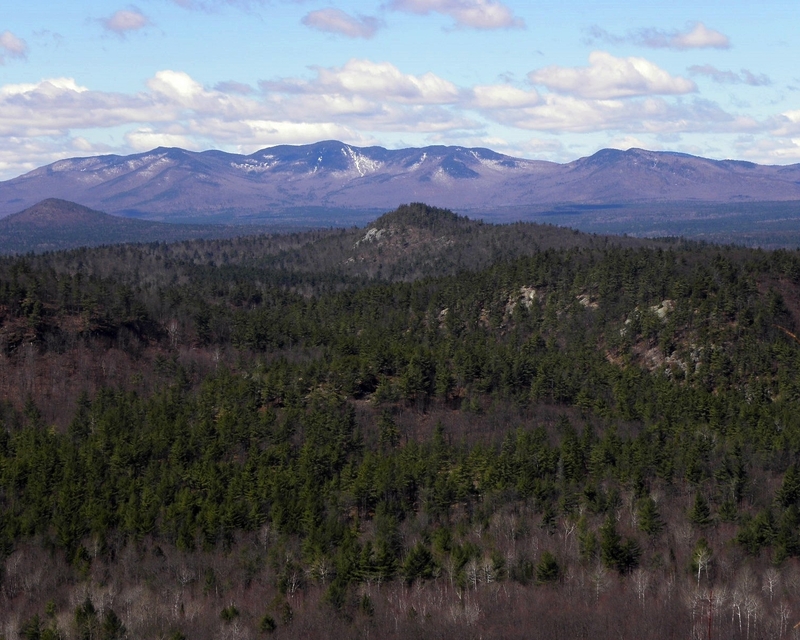 As I said in the beginning, the Northeast is naturally forested. So, unless we maintain the open meadows we have, we’ll all be back to trying to see the forest for the trees. The author is the Marketing Manager at Fountains Land and a Real Estate Salesperson specializing in rural homes.